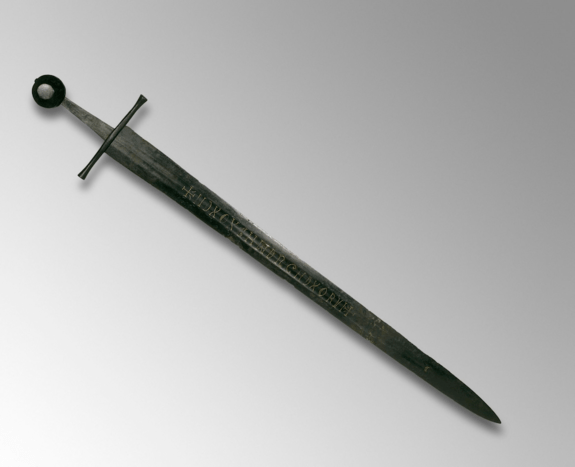 There is a lot more discussion about this here: http://britishlibrary.typepad.co.uk/digitisedmanuscripts/2015/08/help-us-decipher-this-inscription.html with a lively discussion and links to academic articles on sword inscriptions. Having read a bit about this during a recent break (by which I mean reading the above page and one of the papers linked), it does seem to boil down to the letters CHWDRGHD , the rest is likely a formulation invoking divine protection . Thanks Seamus for the extra information. I think the whole mystery makes a great subject for a short story – either set now or back in the Middle Ages!